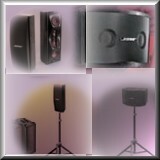 Need great audio gear for a special event? Overdrive Productions, Inc. will save you a few bucks by renting you the gear you need! ODP also stocks a large inventory of 'used gear' for sale at great prices. Call Today For Pricing And Availability on Rental Equipment and Used Gear For Sale. "Live Production" If you need help with production for a special event . . .
Our audio rental inventory includes selections from Shure, Bose, JBL, Crown, Tascam, Yamaha and many other quality name brands. ODP stocks a large inventory of 'gently used' audio and video gear, for sale at great prices. Choose from the same quality name brands that we install new. Don't pay full price when you can 'buy it for less' at Overdrive Productions. >> Email or Call 972-442-4800 for pricing & availability. 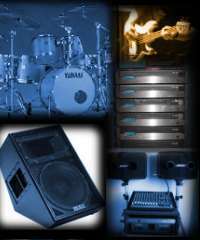 Do you have audio equipment in need of repair? Call ODP for top notch audio / video repair services. >> Email or Call 972-442-4800 for an estimate.